A neuroma is a thickening of nerve tissue that can develop in various parts of your body. 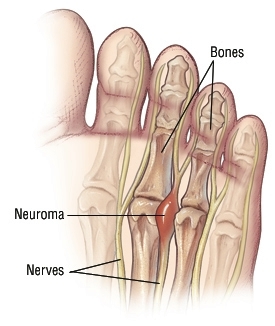 In the foot, the most commonly occurring neuroma develops at the base of the third and fourth toes. This condition is referred to as Morton's Neuroma. Morton's Neuroma can make walking and performing normal activities difficult and painful. Treatment options vary with severity, and identifying the neuroma in its earliest stage of development is important to avoid more invasive treatments or surgical correction. Left untreated, neuromas tend to worsen, so it's always best to take action at the first sign of pain. Modifications to footwear, which is where Innovate Comfort Shoes can help. Wide-toed shoes relieve pressure on the neuroma. Our comfort shoes come in a wide ranges of sizes and width, so that you can decrease pressure on the forefront of the foot. Shoe inserts or padding to provide support for the arch of the foot, which removes pressure from the nerve. 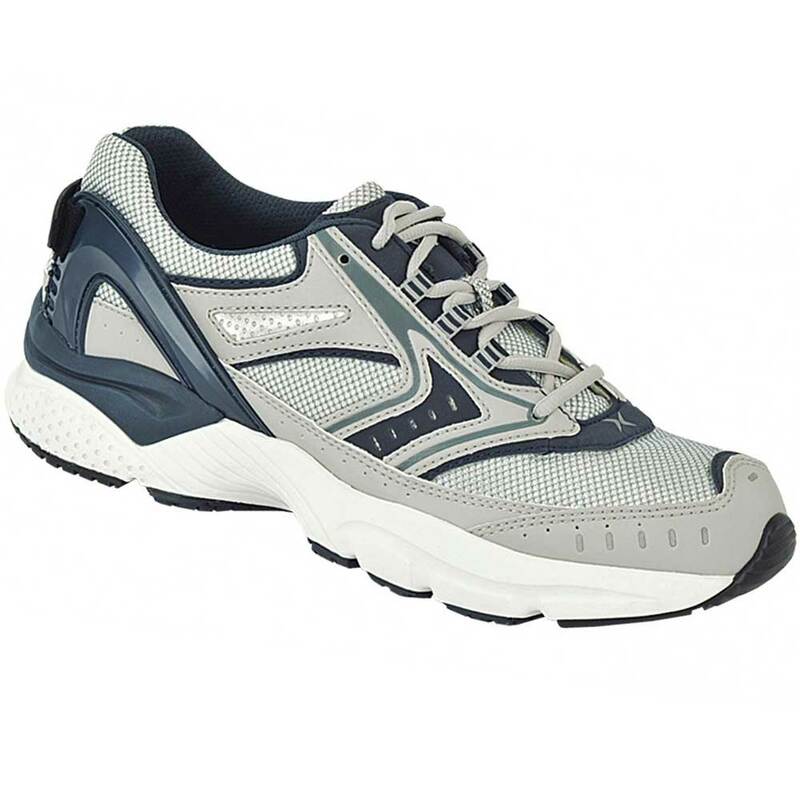 Our therapeutic shoes with dual insoles are especially helpful for getting the perfect fit for relieving neuroma pain. The first step in relieving your neuroma pain is to get your feet in the right shoes. Give us a call and let us help you find the right shoe for your condition and lifestyle. 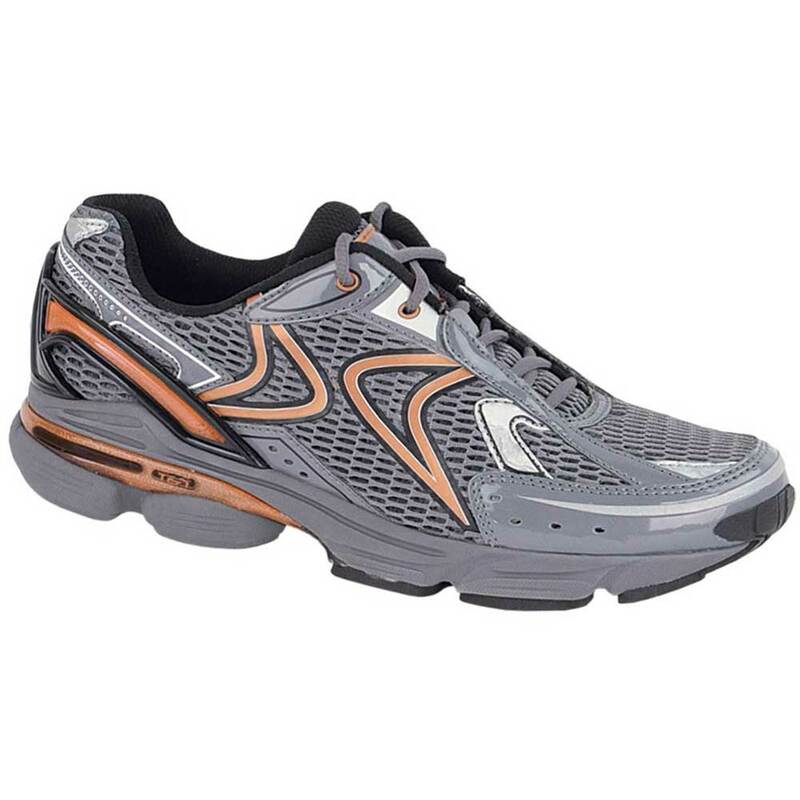 Innovate Comfort Shoes can offer expert care and advice so that you can get back on your feet.